From May 31 to June 13, Final Fantasy VII returns as an event with Final Fantasy Record Keeper. 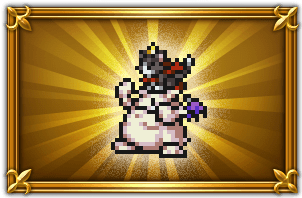 This event introduces Caith Sith, while also allowed players to acquire Aerith, Tifa, Barret, and Yuffie as well. More information on each character is below. Memory Crystal Is included are these five plus Cloud. And Memory Crystal II unlock is Yuffie. Items included are the Blonde Wig (+10 to Attack and Sleep Resistance) and Cat's Bell (+500 HP and +15 MND). 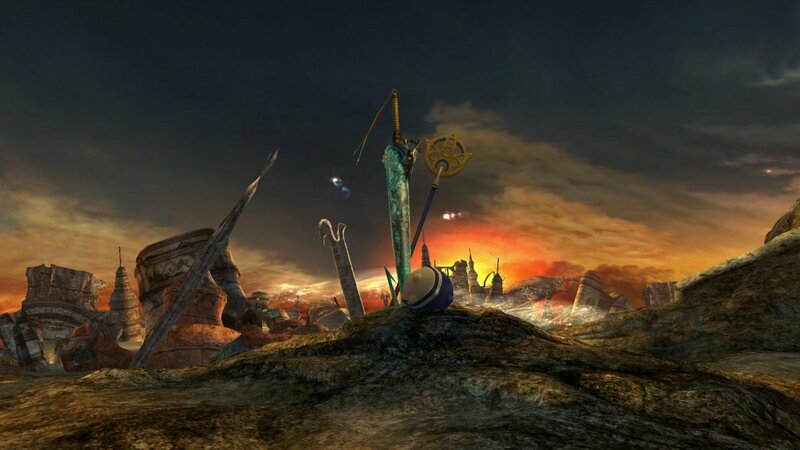 Unique Relics included are the Crystal Cross (a throwing weapon for Yuffie and has the Soul Break Gauntlet), the Wizard's Staff (Staff for Aerith with the Soul Break Pulse of Life), the Yellow Megaphone (musical instrument for Cait Sith and includes the Soul Break Toy Soldier), Atomic Scissors (Gun arm for Barret and the Soul Break Satellite Beam), and the Platinum Fist (for Tifa with the Soul Break Burning Arrow), as well as Shared Items Chocobracelet and Fire Fang. The main dungeons have been easy and elite parts, as well as four added events. The normal events are Sector 5 Church, Don Corneo's Mansion, Shinra Building, Junon Area, and Shinra Cargo Ship. The extra battles are Hometown Bout+, Abandoned Town++, Cetra's Memories +++, and Deep Sea Distress and Battle Arena+. The Dungeons are based on where Cloud and co. met Cait Sith and how he joined their group. 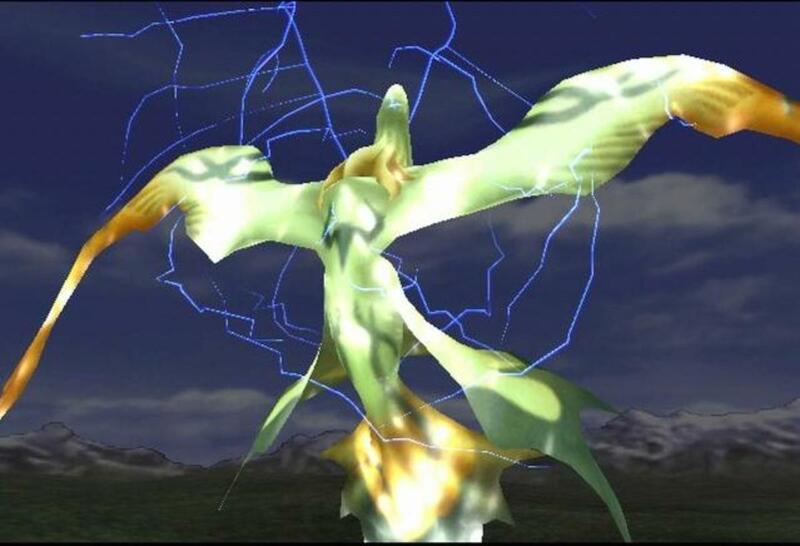 The battle, like virtually every event in FFVII to date, ends with having to battle Jenova. Bosses in general include Hell House, Sample HO512, Hell Rider VR2, and Jenova Birth. To unlock Yuffie's MC II, you need to defeat the Four Saints and Godo in Hometown Bout+, an extra hard battle. Abandoned Town ++ features a battle with Rude and guards. Cetra's Memory +++ features Demon's Gate. The Ultimate Battle called Deep Sea Distress allows the acquisition of the Cat's Bell accessory and battle with Carry Armor. Ultimate+ is called Battle Arena and features battle with Ying/Yang, Ultimate Chimera, Proudclad, and Jamar Armor. As always strategies for winning these fights are below. Cait Sith can equip daggers, rods, staves, and musical instruments as weapons. He can equip hats, light armors, and bracers as armor. And he has access to White Magic (4 stars), Summons (4 stars), Bard (5 stars), and Dance (5 star). Barret can use daggers, Gun-arms, and guns as weapons. He can use light armor, bracers, hats, and robes as armor. He can wield black magic (2 stars), combat (3 stars), machinist (4 stars), and support (5 stars). Tifa can use daggers and fists as weapons, while she can use hats, robes, light armor, and bracers as armor. She can use abilities such as Combat and Monk (5 stars), as well as Celerity (3 stars). Aerith can use daggers, rods, and staves as weapons. She can use hats, robes, and bracers as armor. And she can use Black Magic (3 stars), Summoning and White Magic (5 stars), and support (2 stars). Yuffie can use daggers, fists, katanas, bows, and thrown weapons. She can use hats, light armor, and bracers as armor. She can use black magic (3 stars), celerity and dancer (4 stars), and thief and ninja (5 star) abilities. If you complete the Church in the Slums elite dungeon with Cloud and Aerith in the party, you get one Greater Lightning Orb. If you complete Junon elite dungeon with Cloud and Yuffie in the party, you get 3 Greater Black Orbs,. If you complete Cargo Ship elite dungeon with Cloud and Tifa in the party, you get 2 Greater Earth Orbs. And if you complete Shinra Building elite dungeon with Cloud and Barret in the party, you get 4 Greater Power Orbs. Obviously, you need Cloud to be in all these. The story of 7 has multiple facets, but the main story involves the discovery that the planet is alive and Shinra's Mako Reactors are actually siphoning the life energy from a living planet. The obvious comparisons to our planet are rather obvious. That Sephiroth's ultimate attack Super Nova hits our solar system, destroying every planet but Earth, Mars, Neptune, and Uranus, by summoning a meteor from deep space that causes the sun to go Super Nova, only reinforces the paralells to our world. As for the characters, Cloud is amnesiac, without real memories of his own, who learns the truth of his life while also chasing the villainous Sephiroth, he learns what a true hero is. Barret is blinded by his hate of Shinra, not without justification mind you, but learns the value of forgiveness. You learn a great deal about several characters during the game. I'm not a big Cait Sith fan. 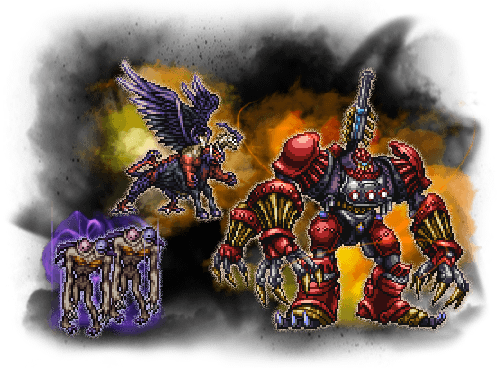 However, during Final Fantasy Record Keeper's 1 year run, Final Fantasy VII has been the most prominent event used, and perhaps it's just my perception, but to me, it's not even close, this allows me to get my characters from that game high for the Nightmare dungeons. There have been 12 FFVII events. not a surprise considering it's easily the most popular in the series. Since there have been 59 events based on specific characters, that means 1 in 5 events have been involving FFVII characters. The next closest is FFVI, with 9. FFII has yet to be represented at all, and Tactics, FFXIV, FFII, and FFI have only appeared once. Which Final Fantasy game is your favorite?